Unless you’re living somewhere humid, like Florida, you’re bound to find the lack of humidity in the air distressing at some point throughout the year. This used to happen to myself especially in the Fall or Winter months, where the air was dry and bloody noses were a common occurrence during my childhood. The quality of your sleep will drop and your mouth and throat will be as dried out as the Gobi Desert. The furniture in your house will suffer, too, since low humidity causes cracks and shrinkage. In this case, you should definitely consider purchasing a humidifier. If you are not familiar with this device, don’t worry: we’ve got you covered. There are two categories of humidifiers if the criterion we differentiate them on is portability: fixed-installation and portable. The choice you’ll make depends on your personal needs. Many commercial spaces, like stores, malls, and offices use fixed-installation humidifiers because they are more robust and have a bigger capacity. Portable ones are mostly for house use, so you don’t need a fixed one. If you go to a store, you’ll find four main types of humidifiers: ultrasonic warm/cool mist, evaporative, steam vaporizer warm mist, and impeller. Of course, there are more than 4, but these are the ones people commonly buy. The other types are a little more obscure or simply not fascinating enough for people to try them out. Now we have to talk a little about each of those four in order to know what purpose they serve best. 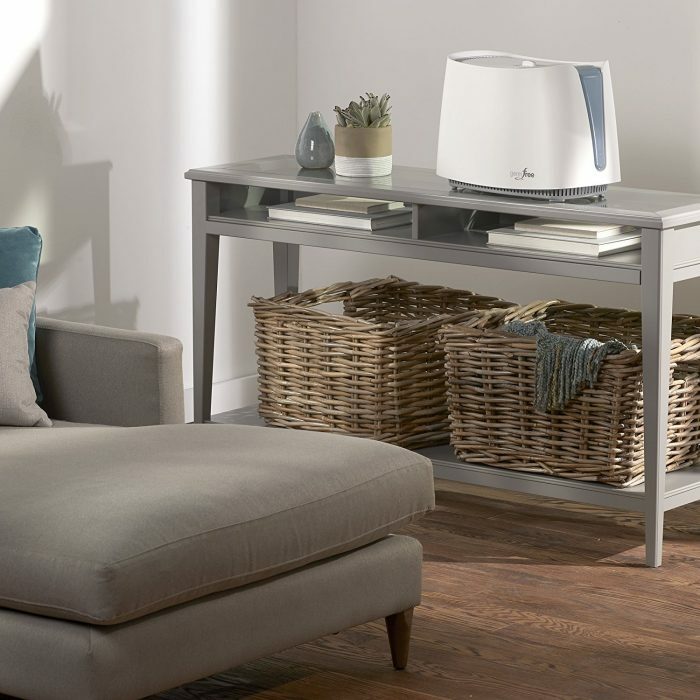 Unlike other types of humidifiers, an ultrasonic one disperses a subtle fog in your house. These units utilize a metal diaphragm that vibrates at an ultrasonic frequency. That leads to the creation of water droplets, which are afterward released in the air. Ultrasonic humidifiers release room temperature or warm fog. Let’s have a look at the pros and cons associated with each category. There is a Catch-22 here that you should be familiar with: an ultrasonic humidifier that disperses warm mist is considerably better than the one that produces cold mist. Why? For the most part, it’s all about the health benefits (and hazards, at the same time). Warm mist ultrasonic humidifiers boil the water beforehand. That means the bacteria are destroyed. Another benefit could be that warm mist items could warm up a room if it’s a bit cold. Additionally, they are silent, which means they can run in the background without disturbing you. On the other hand, warm mist humidifiers use more electricity than their counterparts. To start with, in comparison with warm mist humidifiers, cool mist ones utilize less electricity. They also tend to be on the affordable side. 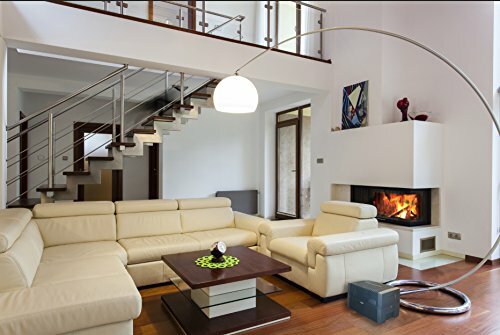 Cool mist humidifiers are ideal for large spaces, while warm mist ones are better if used only in the living room or any other room of the house. The latter are quieter than the former because they do not have a fan. Nevertheless, cool mist is a perfect breeding ground for all sorts of bacteria. Simultaneously, the water in the humidifier itself will be overflowing with impurities, particularly minerals that pose a threat to your health. We tend to think that warm mist humidifiers are a lot better than their cold mist counterparts. That’s primarily because they annihilate waterborne pathogens, mold, and bacteria. You can even out the situation by purchasing a humidifier that has both functions. Technology has gotten us far, so you’re able to find dual humidifiers nowadays. They’re more expensive, so prepare for some investment. This is the most basic and user-friendly type of humidifier you can get. It consists of a basin, a wick, and an electric fan. Straight to the point. The water in the basin goes to the wick, which absorbs it and then transfers it to the fan. As a result, the humidifier’s fan disperses water vapors into the air. Evaporative humidifiers are the cheapest, so if you’re shopping on a tight budget, this might just be your best choice. One major pitfall of this type of humidifier is the mold that accumulates on the wick. Because of this, it needs a whole lot of maintenance, which doesn’t happen with other types. Apart from the mold, the wick can also be damaged by sediments of minerals. In the long-run, the cost of owning an evaporative humidifier might go higher. It’s extremely important that once you’ve bought it, you tend to it on a regular basis. Vaporizers function on the same principle as humidifiers do, but there are some differences between them, as well. For starters, vaporizers use boiling water to create a warm mist. This eliminates bacteria, germs, and microbes. In comparison with a common humidifier, which is used for dispersing mist and only that, a vaporizer can be used for medical purposes. For instance, you can put various inhalants like menthol and plant oils/extracts in it. For this to happen, however, the vaporizer has to be waterless and designed as to accommodate vaporizer pads. These can be a bit pricey, but once you’ve tried them once, you’ll definitely keep the trend going. Vaporizers are better than common humidifiers because they are not as prone to being damaged by mildew and mold. It’s safe to say that all types of humidifiers that use boiling water are simply more feasible than the ones with cold water. A vaporizer is more expensive than a humidifier, but since it offers a larger array of health benefits, we think that you should consider buying one, especially if you have children that are predisposed to colds. Just make sure you put it somewhere where they cannot push or kick it and subsequently get some nasty burns. Without a doubt one of the most rudimentary types of humidifiers; instead of fans, heating components, and ultrasound, this uses a disc to transfer water at the diffuser. The impeller humidifier is among the very first models in the history of humidifiers. As a consequence, it is largely outdated, but can still be found in various stores. Keep in mind that it makes a lot of noise when it is turned on. Modern models are a lot more silent. Anyway, if your humidifying needs are not that important, one of these can do the trick. Like all types of humidifiers that use cold water, this is predisposed to mold, bacteria, and germs, as well. That requires regular maintenance, which can become a tedious chore in a short period of time. If you don’t have time to do this frequent maintenance, you should consider purchasing a newer model that uses hot water instead of cold one. That’ll reduce the amount of time you’ll have to spend trying to keep it shielded from mold and sediments. Okay, these are the 4 main types of humidifiers, but you’re probably asking yourself: Why would I need a humidifier in the first place? Get some enlightenment in the next section. Believe it or not, humidifiers can make a major difference, health wise. Especially if you or someone in your family has a history of allergies, colds, flu, itchy throat and nose, etc. 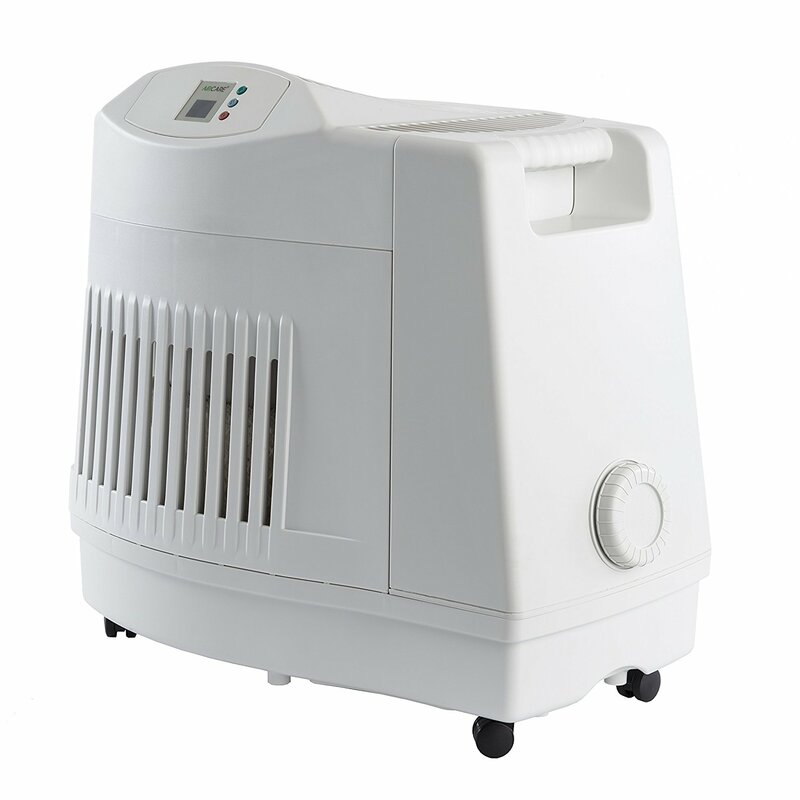 Humidifiers are medical devices, to some extent. Reduced moisture can have a negative impact on your health; a humidifier creates that much-needed humidity in environments where it cannot be created naturally. This will have a beneficial impact on the plants and furnishings in your house, as well. Static electricity, which I guess pretty much everyone in the world hates, will disappear once the humidity in your house is 40-50%, the optimal level. If you don’t get as much moisture as you should, you may have no other choice but to get a humidifier. You’ll see for yourself that once installed, the atmosphere will change immediately. Your sinuses and nose will be the first ones to sense things have taken a turn for the better. Be cautious, however, because overusing a humidifier can cause health problems, not alleviate the preexisting ones. Allergic alveolitis, among others, is a condition that can be triggered by too much exposure to humidity. For this reason, take caution and use your humidifier in short bursts. Humidifiers, if used for an appropriate amount of time (in sessions, ideally), can turn your overall welfare 3600. We’ve already seen some of the benefits of a humidifier, but those were just the tip of the iceberg. Infections are caused by airborne bacteria, dust mites, and other organisms. On that note, humid air gets rid of them before they start wreaking havoc on your health. Instead of spending hundreds of dollars on all sorts of creams and lotions, just get a humidifier. Your skin will become softer the natural way. Snoring can be caused by a dryness of the throat and the sinuses. Pretty self-explanatory how a humidifier will help in this case: it adds moisture to those mucous membranes that are inflamed. There is a direct connection between the amount of humidity in the air and the brittleness of your hair. Not enough moisture can make it go try, weak and inflexible. Dry air feels colder than humid air. This is why you feel like you’re living in an igloo even when it’s still warm outside. Get a humidifier and you’ll pay less on the heat bill. Dried-out air is full of bacteria, germs, and toxins. These can damage the plants in your house, not only your health. Once humidity is restored, you’ll observe that all plants become greener, their leaves are healthier and the soil in the pots is moister, which means they can grow properly. PRO Tip: Do not buy a humidifier unless you’ve tested the humidity in your house. We recommend you use a humidity monitor to see whether you need it or not. Don’t spend money on something that 1) you don’t actually need and 2) can damage your health. Different humidifiers serve different purposes. Obviously, you cannot use a small, portable humidifier to get the air back on the right track in the entire house. Likewise, you cannot unscrew a huge, fixed humidifier to carry from room to room. Perfect for adding humidity to a single room. These are small devices you can carry from room to room. They’re also called “portable,” for evident reasons. If you need a lightweight humidifier, this is a great choice. The good news is that you can choose from various models. Some of the modern ones feature a generous plethora of functions. 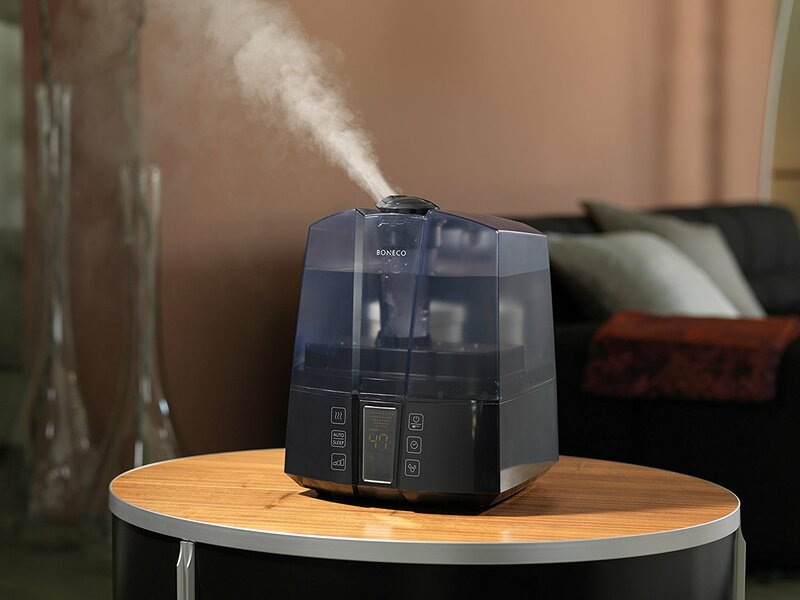 Concurrently, tabletop humidifiers are among the most affordable on the market, due to their size and functionality. A console humidifier is a lot bigger than a tabletop one. Hence, it is more powerful. That’s why it’s used to add humidity to the entire house. They’re usually placed in the living room or another strategic place from where the air circulates better all around the house. To put it roughly, a console humidifier can add humidity to a space measuring between 1,000 and 3,000 square feet. Needless to say, this makes it optimal for an entire house. They cost more than tabletop humidifiers, of course, but remain largely affordable (a couple of hundred of bucks). This is mainly used in industrial and commercial spaces, due to its size, being the heaviest and largest of them all. Such a humidifier is installed onto an HVAC type of unit and does not need a water refill because it’s connected to the water supply line. However, the filter should be replaced at least once a year, to make sure the humidifier won’t jam eventually and cost you a fortune in repairs. Bare in mind that this type of humidifier is also called “In-duct”. Therefore, if you stumble upon it on the Internet, remember that it’s an industrial-sized humidifier. Do not make the mistake of purchasing a drum humidifier for your house. That’s because it uses a ton of electricity and you may not even have a place where to install it properly. Now let’s jump to the good part: the reviews. This stylish tabletop humidifier is as efficient as it is wittingly-designed. 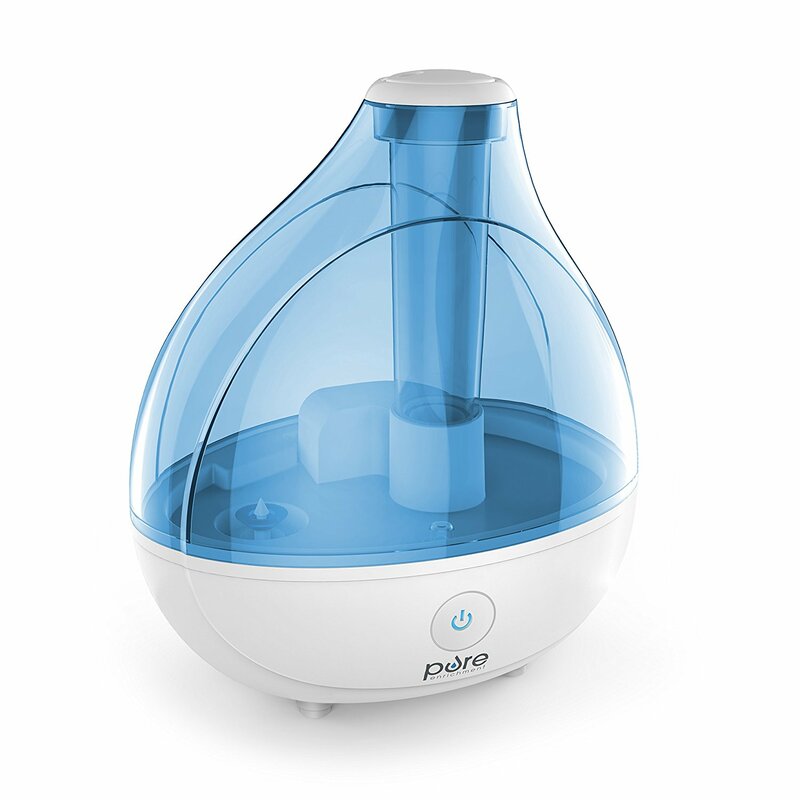 It is an ultrasonic type-humidifier, which means it works by dispersing steam through a vibrating, ceramic diaphragm. While some can alleviate the symptoms of respiratory problems only by producing a higher level of humidity, this model allows you to take that one step further: you can actually inhale warm steam through a special inhaler. If you’re a fan of aromatherapy, you’ll be happy to know that the hOmeLabs has a specially designed space for your favorite oils. Not only will the air in your house get cleaner, but it will also be nicely scented. Additionally, this model is equipped with a 4L tank, which is more than enough for a single room. It can be set as to shut down automatically when the desired moisture has been reached (between 40 and 70%) and can function non-stop if you want it to. It does not use filters and we think this is an advantage. That’s because it reduces maintenance costs as well as the risk of bacterial infection. And of course, due to the fact that the water is heated, there will be no germs left in the air in your room. On the whole, for less than $100, this hOmeLabs is the best buy you can make. Perfect quality-price rapport right here. 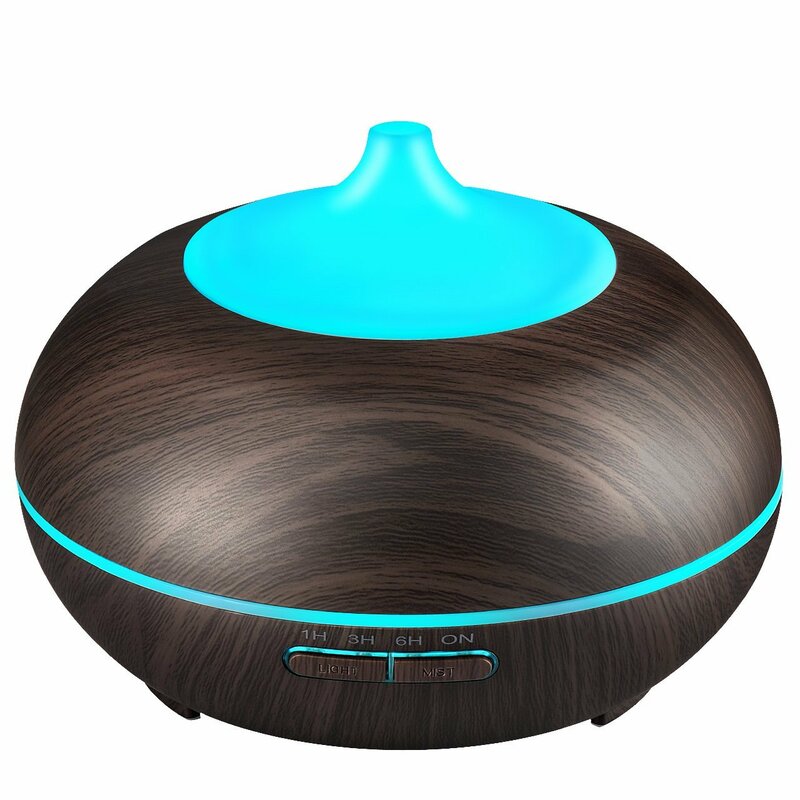 VicTsing’s gorgeous product is presented as an essential oil diffuser. Still, the manufacturer specified that you may use it as humidifier as well, since it produces a maximum of 30ml of moisture within an hour. Apart from its eye-catchy design, this is equipped with a wide array of features that make it worth every penny: auto-shut off when the water runs out, continuous running time up to 10 hours, a stripe with 7 colors you can change and 4-time settings. In terms of functionality, it’s almost inaudible, thanks to the ultrasonic technology and it works perfectly. More than 4,000 positive customer reviews confirm that. On that note, this item is both an ornament and a 2-in-1 device. Therefore, your room will look good, while the air becomes moister and healthier. It can be purchased in three shades of brown, which is yet another plus. For best results, we recommend you use purified water for it. Whereas other models are great but look awful, this is the perfect combination of nice looks and unmatched functionality. Additionally it makes a great travel humidifier. Definitely worth checking out. On a different note, during the winter, when the humidity is sucked out of the room, this will come in handy. You can use it 24/7 and it won’t break down. This is the first vaporizer on our list. Almost the size of an iPhone, the 2nd generation URPOWER is a fitting addition to a massage parlor, a bath or a bedroom nightstand. 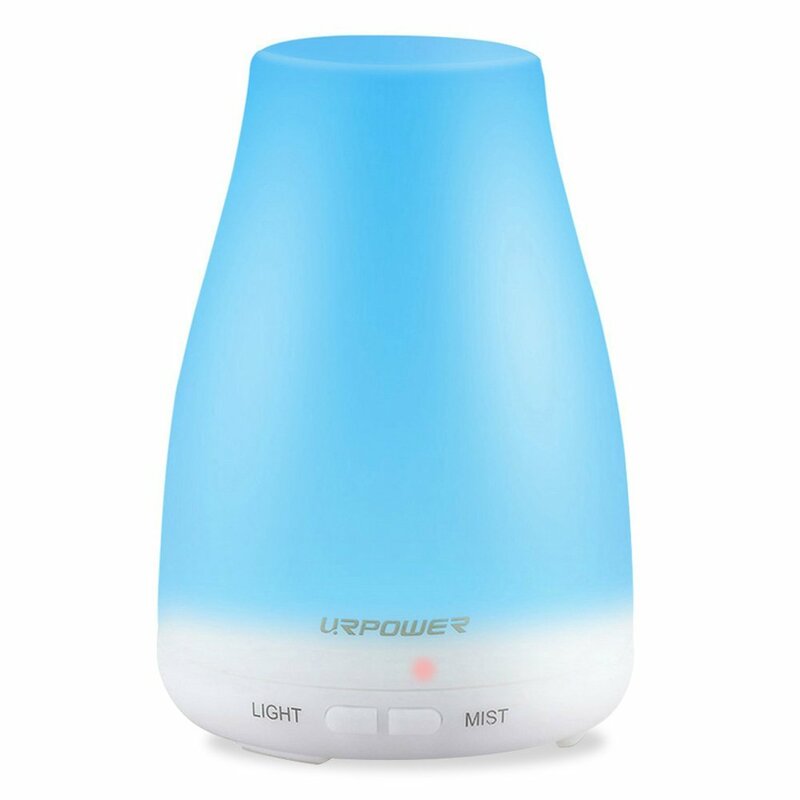 Even though it’s quite cheap for an essential oil diffuser, its functionality is not chipped at all. Just like the previous model, this has 7 LED colors you can change whenever you please, as well as an auto-shutdown function. Hence, when the water runs out, it will stop. Another nice feature is that it can work up to 6 hours without a stop and has 2 vapor settings: continuous and sporadic. It will be a little hard to swallow, but here’s the kicker: this particular model has no less than 19,800 reviews from pleased customers. Therefore, we can wholeheartedly affirm that it’s one of the best-rated humidifiers/vaporizers on the market. That merely shows that URPOWER makes no compromises when it comes to the quality of their products. 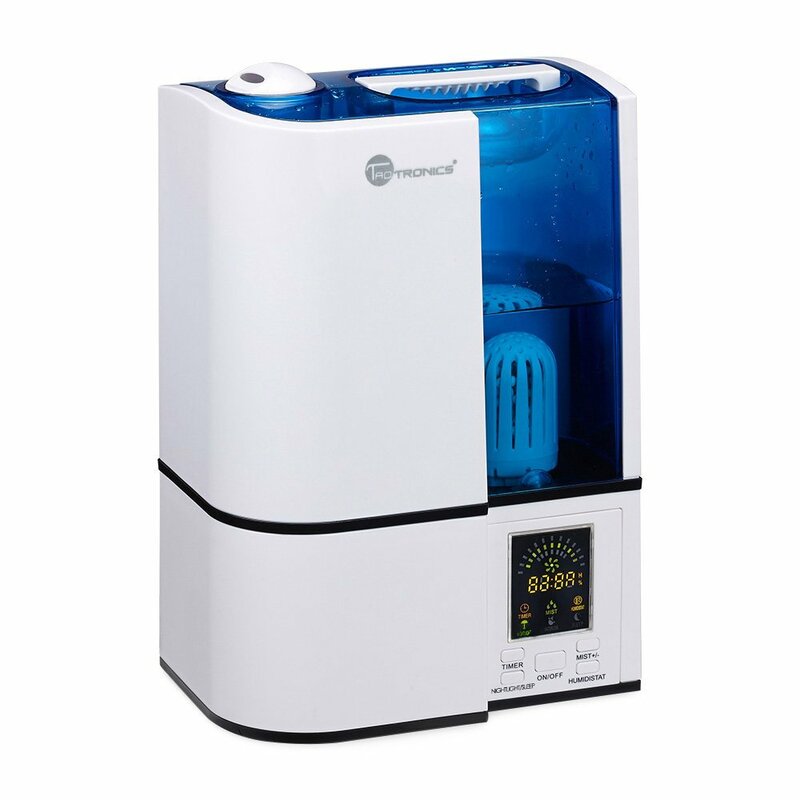 If you are looking for a small but efficient humidifier, this is your go-to product. Another nice thing about the item is that it can be used as a night lamp. It’s similar to one of those old, vintage lava lamps, but it’s only got one color. A decent buy for somewhere around $40. TaoTronics has been in business for quite a while now and it’s back with a state-of-the-art humidifier that will catch your attention. Equipped with automatic shutdown, adjustable vapor levels, LED display, a timer, and a generous tank, it’s a no-brainer that this must make it on your shopping list. Being an ultrasonic humidifier, it does not sound like a plane taking off. In fact, TaoTronics has mentioned that the level of decibels it produces is less than 40. In truth, we’ve seen a couple of aromatherapy diffusers in this top. However, this is not a vaporizer, so refrain from pouring essential oils in it, unless you want to break it. The adjustable steam level will be a fantastic tool for those who are too picky about their humidity. Moreover, when seasons change, having the means to adjust the humidity can be a godsend. On that note, you should not give too much credit to those humidifiers that are preset, because they’re nowhere as good as their counterparts. Long story short, if you don’t want to overspend on an ultrasonic humidifier that not only does its job infallibly, but also has a touch of futuristic looks, this fulfills the criteria. How about a humidifier that can run up to 36 hours without stopping once? Yes, that’s one of the greatest perks of this Anypro humidifier. However, if you want, you can set it, so it doesn’t run continuously. This particular humidifier seems to have been designed with your health in mind. It was made with anti-mold material, it does not leak nor is predisposed to cracks and you can barely hear it once it’s turned on. It also provides a soft nightlight (6 colors), as well, so you kill two birds with one stone. 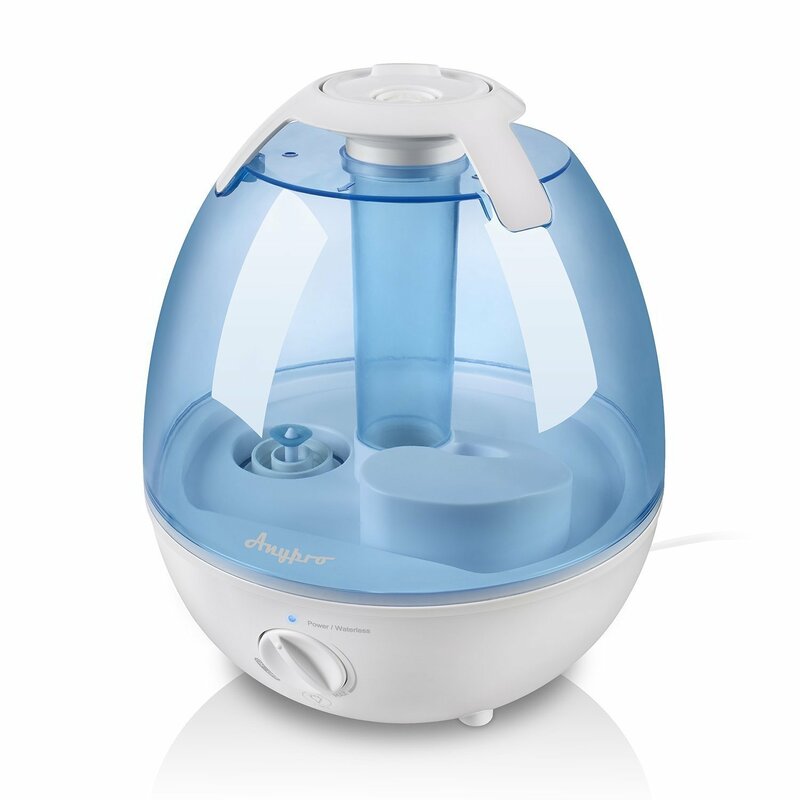 The Anypro humidifier dissipates mist to 3600, unlike any other humidifier we’ve seen in this top until now. You should keep in mind that this works best with distilled water. You can use tap water if you want, but that’s full of minerals that will eventually deposit inside the humidifier, leading to it breaking down. The design makes it ideal for a child’s room, because it looks similar to a toy. It’s not, of course, and is not as fragile as a toy, but you get the point we’re trying to make here. Not a bad acquisition at all for such an affordable price. Now we’re talking about heavyweight humidifiers that can add humidity to the air in an entire house, or at least to maximum 3600 square feet, in case you have a lavish mansion. This AIRCARE humidifier is equipped with a digital humidistat and wheels. Therefore, it’s easy to carry it from room to room and set the humidity to the desired level. It can work continuously for 36 hours and has a quite large capacity of 3.6 gallons. One minor downside is that it has a wick that requires periodical maintenance. That would prevent it from getting saturated with bacteria and sediments. At the same time, the MA1201 is the smallest humidifier in a series of AIRCARE products. Even so, it received wildly positive reviews from thousands of customers. We can say that this is a great buy because it’s extremely affordable. There are tons of smaller humidifiers that cost more than this. Instead of spending money on a tabletop humidifier, you can just purchase this and cover your entire house. Air filters might need to be replaced every so often, but it’s not the end of the world. Also, it turns out that this humidifier works just great during the winter when the humidity in the air drops alarmingly. 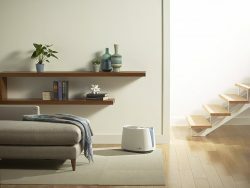 For somewhere in the range of $160, the AIRCARE MA1201 is a top-notch humidifier that is sure to humidify even the driest air in a room. One of the smallest humidifiers on our list, Pure Enrichment’s product is a fully functional humidifier and a lavish ornament that looks nice on any table. 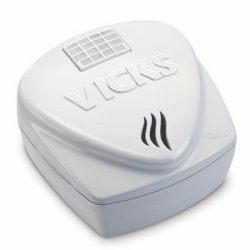 In spite of its size (relatively small for a humidifier), this works on an ultrasonic principle and can humidify the air for up to 16 hours per session. Moreover, it can be set on either high or low speed. It can also be used as a nightlight. That is not all, it also has automatic shutdown when the water in the 1.5L tank is dissipated into the air. Not at all bad considering its price. In just a couple of months, the rating of this particular humidifier sky-rocketed, which says a lot about the quality and attention to detail that went into it. Moving on, the humidifier produces a maximum of 150 millimeters of moisture per hour. Again, considering the size, this is a huge plus and yet another reason why this is a good buy for medium-sized rooms. The bottom-line? 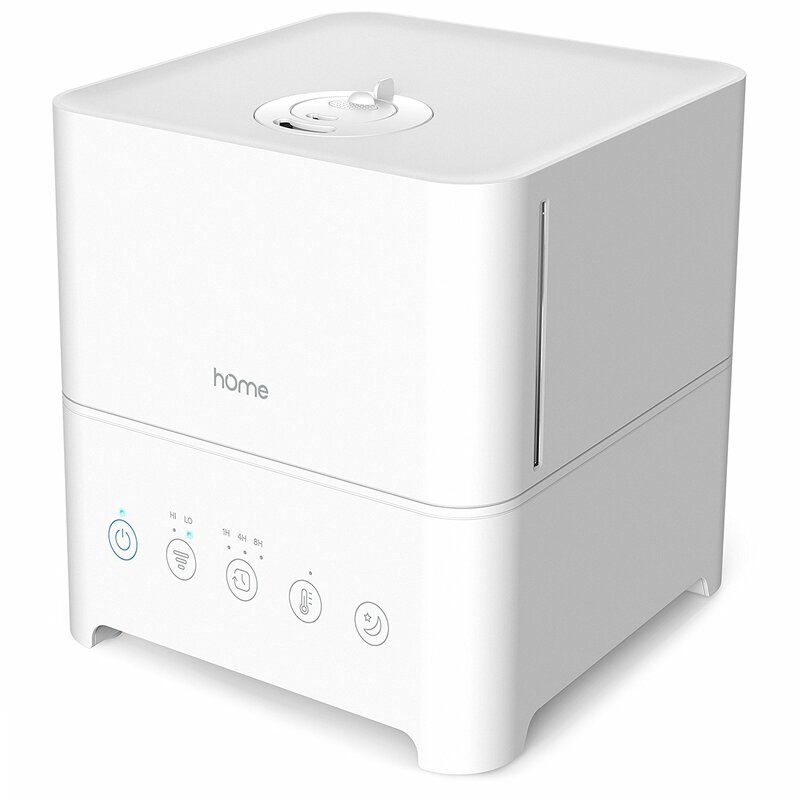 If you always try to aim towards products that do their job but also look nice wherever you put them, this Pure Enrichment humidifier is something worth taking a look at. Without a doubt, this is one of the cheapest humidifiers on the market, but it works as well as one that costs twice as much. 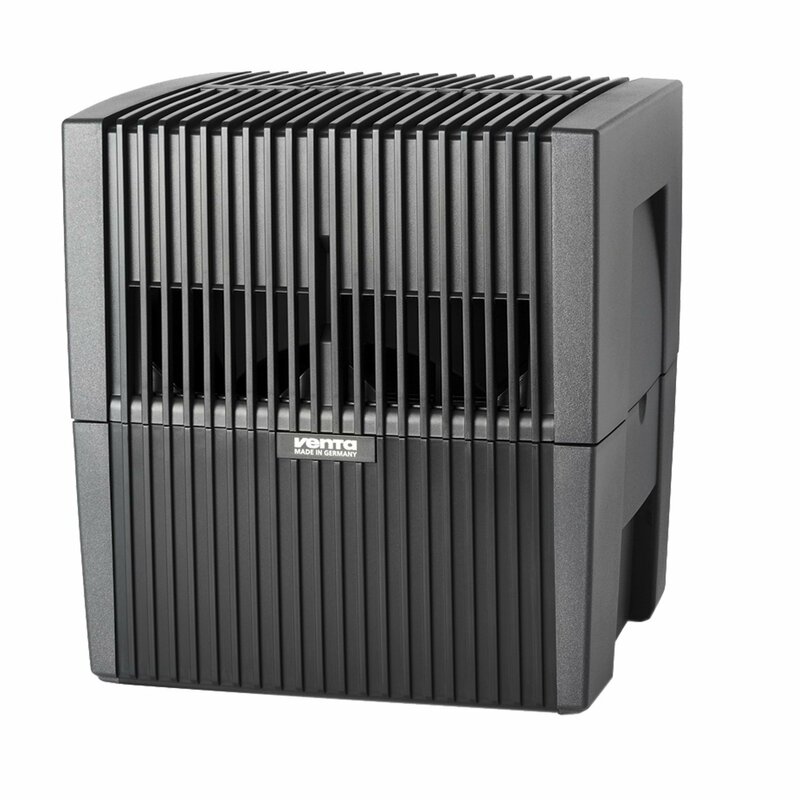 Venta’s product is the first on our list that simultaneously humidifies and purifies the air. That might explain why it costs a fortune. It is called “Airwasher” because the air is actually washed. This is done by discs that rotate it through the tank. When you’ll need to refill it, you’ll see that there’s a quite large load of sediments on the bottom, which is proof that the product does work as advertised. The best thing about this is that it does not use filters, so you won’t need to spend money on those. In this case, water itself is the filter. Like many other humidifiers in this top, this too shuts down automatically when no water is detected. Concurrently, the capacity is somehow small for a dual humidifier/purifier, but it’s more than enough for a room that’s up to 400 square feet, its maximum coverage. 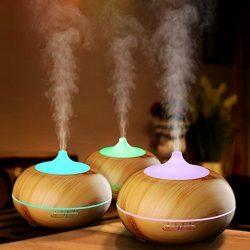 If you want to, you can use essential oils with this humidifier. Just add between 2 and 4 caps of oil to a full reservoir and your room will smell amazing. Even though it looks heavy, it does not weigh more than 8.5 pounds, due to having been made with qualitative materials. While it’s true that this costs a bit more than the others, it’s worth every penny. Evaporative humidifiers use a wick in order to eliminate bacteria. This, too, works on the same principle. Honeywell’s humidifier has two nice features for the price: 3-speed settings (they affect the noise level, as well) and 24-hour running time. Its size makes it a good acquisition for larger rooms. Plus, what is innovative about this is that it uses UV light in order to kill the mold and fungus that might reside in the tank. At the same time, Honeywell’s humidifier can be easily cleaned by rinsing the components in the dishwasher. You don’t need all sorts of expensive products to do it. 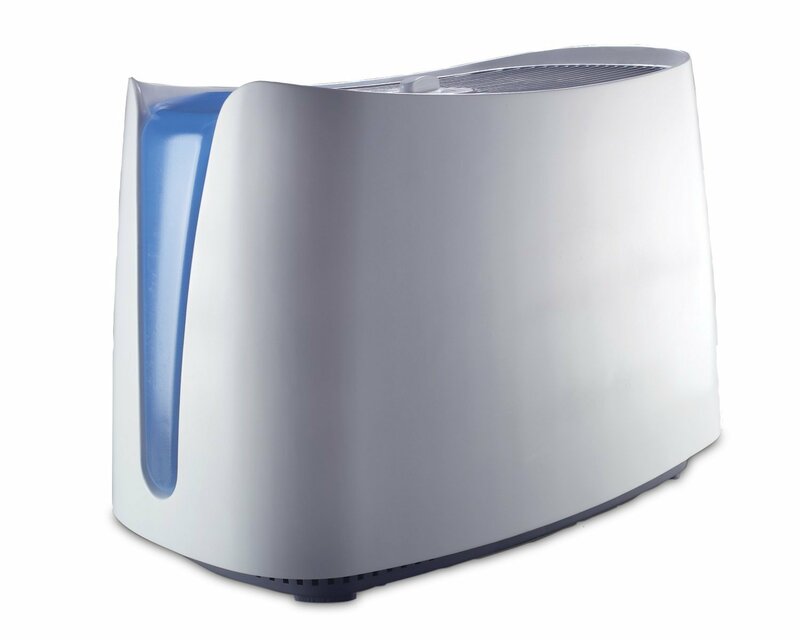 It is also considerably quieter than other evaporative humidifiers, thus you can use it throughout the night. On the other hand, the wick filter could be a downside. That’s because it needs to be replaced on a regular basis, so it does not accommodate mold, fungus, and bacteria. On the bright side, replacement wicks are relatively cheap. You could also purchase an antimicrobial treatment for the water, to make sure you’ll be 100% on the safe side. If you’re shopping on a budget, it’s recommended you take a look at this model. If not, you’ve got plenty of other models to choose from. Assess what you need and then make a decision you won’t regret. Although it looks like a coffee-maker, this BONECO humidifier is a state-of-the-art product that has some pretty cool features. 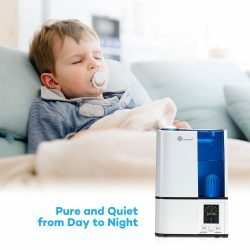 Some of them include continuous operation, warm or cool mist, digital display, built-in hygrostat and a capacity of 3 gallons for up to 24 hours of humidifying. All the controls on this humidifier work only by touching, which gives it a modern feel. Moreover, you can use a pre-heating function. Afterward, the humidifier self-adjusts to the temperature and humidifies the air accordingly. The fact that you can choose between warm or cool mist is a good addition to the product. In fact, we’re positive many people will find this a handy feature. One thing we’ve found displeasing about this is refilling the tank. For some reason, it does not get refilled from the top, as it should be normal, but from underneath. It’s pretty weird, but it doesn’t affect its functionality in any way, so it’s not such a great downside. On a final note, BONECO’s humidifier received some good reviews along the way. In other words, you can rest assured that you’ll be spending your money on a good product that’ll last you at least a couple of years. It’s a food price-quality ratio, so it’s worth every penny. This is where our guide comes to an end. Hopefully, you’ve gained enough perspective on what makes a humidifier a good acquisition. You won’t be at risk of spending your money on a product that will let you down in the long run. Apart from some general information on humidifiers, we’ve also provided 10 of the best-rated humidifiers on the market at the moment. Make your choice based on your needs and you’ll end up with a product that will have a beneficial impact on your health.